Increasingly dynamic and diverse, Taiwan, also known as Taipei, China, is the world’s 24th largest economy, the 16th largest exporter, and the 16th largest importer in merchandise trade. Taiwan is an archipelago of 86 islands, with the largest, Taiwan Island, comprising almost 98% of the country’s land mass of 13,900 square miles. One of Asia’s “Four Tigers,” along with South Korea, Singapore and Hong Kong, Taiwan has transformed itself through decades of hard work to a wellindustrialized and mature economy. Today, it is an important economic and trading center with one of the world’s busiest ports in Kaohsiung. From being an underdeveloped, agriculture-based island, Taiwan has grown to be a worldclass leader in technology. A recipient of U.S. aid in the 1950s and 1960s, Taiwan is now a major foreign investor, an aid donor, and holds the world’s fifth-largest stock of foreign exchange reserves. Growth has been painstaking. Taiwan was first transformed from a Dutch East India Company colony to the home for a Ming-loyalist regime. It endured centuries as a province under the Qing Empire, followed by a Japanese occupation, and eventually more than 50 years under the Kuomintang (KMT). Yet, despite being only a third the size of Virginia or a little smaller than Switzerland, Taiwan has overcome its physical limitations and challenges to emerge as one of the economic centers in Asia. The islands of Taiwan were first occupied by the Japanese as far back as the 12th century. Later on, in 1590, Portugal became the first European nation to set foot on the island, which they poetically named Ilha Formosa, meaning beautiful island in Portuguese. A tug of war then followed with the Dutch and the Spanish all vying for possession of Taiwan. Eventually, the Dutch held sway, claiming occupancy of the P’enghu Islands in 1622. The Dutch occupation, however, was short-lived. Once the ruling Ming dynasty in China was overthrown by the Qing dynasty, change was inevitable on the tiny island. 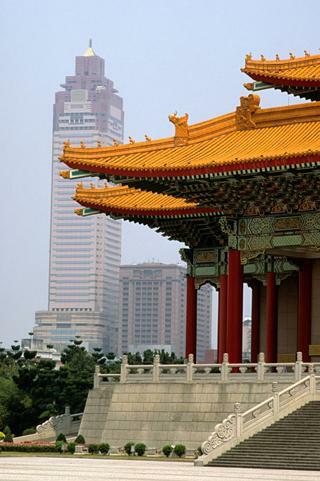 Taipei, the capital of Taiwan, is a bustling city, with skyscrapers jostling with ancient temples. 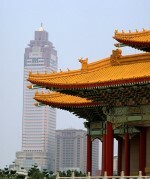 Vibrant with modernity, the city is the economic center of Taiwan. Eventually, Cheng Cheng-kung, known as Koxinga in the West, and one of the most famous resistance fighters against Manchu rule, immigrated to Taiwan. Large-scale immigration of Chinese began in the 17th century, especially from the coastal provinces of Fujian and Kwangtung, as they fled to escape the oppression of the Manchu. Taiwan grew during this phase as an anti-Manchu base. Cheng’s death hastened the end of Manchu resistance, and in 1683, Taiwan finally surrendered to Qing rule. Peace, however, was to be elusive for the long-suffering island as it was ceded to Japan, under the Treaty of Shimonoseki, following the end of the Sino-Japanese War. Infrastructure was developed under the Japanese but the Taiwanese seethed under the yoke of occupation, and several revolts rocked the island, all of which were brutally put down by Japan. In 1945, with the surrender of Japan in World War II, both Taiwan and the P’enghu Islands were declared a province of China. At this time, Taiwan was governed from Nanjing by the KMT led by Chiang Kai-shek. However, enmeshed and embroiled in a bitter civil war with Mao Zedong’s Communist Party, the Kuomintang fled to Taiwan upon its defeat. 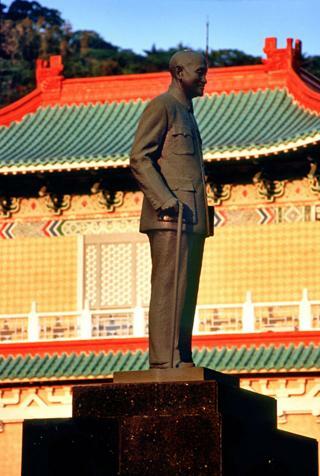 Establishing the Republic of China, Chiang Kai-shek ruled as the first President of Taiwan. Despite attempts by China to invade Taiwan, the island nation gained the support of the U.S., helping it to resist Chinese incursions. The U.S. continued to support Taiwan, promising to defend the country in case of outside attack. The Nationalist Army was trained and equipped by the U.S., and along with substantial aid from its benefactor, Taiwan enjoyed spectacular economic growth, building on the infrastructure laid by the Japanese. By the 1960s, after the U.S. had injected around $4 billion in Taiwan, the country progressed to such an extent that such aid was rendered superfluous. However, Chiang Kai-shek, who was elected President for the fifth time in 1972, witnessed increasing criticism against what was termed dictatorial rule. 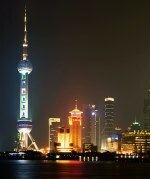 At this time, China was also increasing pressure on the international community to acknowledge Taiwan as its province. The result was that by 1981 very few nations maintained diplomatic relations with Taiwan including close ally U.S., which formalized diplomatic relations with China following President Reagan’s historic maiden visit to the Communist country in 1972. Disillusioned with the lack of support from the international community, Chiang Kai-shek, who died in 1975, was succeeded by his eldest son, Chiang Ching-kuo. Martial law, which had been imposed since 1949, was lifted in 1987. The first Taiwanese president, Lee Teng-hui, headed a government that in 1988 moved towards empowering more Taiwanese in the government. Since then, changes have been swift. In 1991, Taiwan proposed a long-term, three-phase reunification plan with China, along with plans to restructure the government. More political miracles occurred when Lee Teng-hui won the first popular election for president in 1996. Relations with China reached a new low when pro-independence Democratic Progressive Party (DPP) candidate Chen Shui-bian was elected president. Today, the head of state remains the president, elected by popular vote for a four-year term. Taipei is the heart of modern Taiwan – a bustling, traffic-clogged city that is the center of the national government, and the seat of its executive offices, cabinet ministries, and the supreme courts. The city is also the stronghold of the ethnic mainlander, or wai-sheng jen, who continues to exercise fair dominance in government. Chiang Kai-shek, who fled to Taiwan after the Kuomintang suffered heavy losses in the civil war with the Communists, became the Republic of China’s first president in March 1948. Taiwanese culture is a fusion of indigenous customs with Chinese, Japanese and Western traditions. The birthday of Ma-tsu is a celebration with great fervor all over Taiwan, and is a major event in the island’s religious and cultural calendar. Buddhism, Taoism and Chinese folk religions have all held their pride of place in Taiwanese society over the years. Other important festivals include the Hungry Ghosts Festival, the Lantern Festival, the Dragon Boat Festival and Lovers Day, all of which are popular in China too. During these festivals, hakka people make a variety of traditional ban rice patties. Since Taiwan is an archipelago of more than 88 islands, several tribes on some isolated islands managed to retain their aboriginal status. Indigenous tribes include the Amis, Atayal, Bunun, Rukai, Puyuma, Sao, Tao, and the Zou. Remnants of Taiwan’s colonial culture can be found throughout the country. There are around 12 indigenous tribes recognized by the government, which have a combined population of 464,000. Each group has carried through centuries their unique customs – for example in the Atayal tribe, face tattooing and cloth weaving are dominant. Taiwan, the East Asian island that is home to about 25 million people, came under various foreign influences such as the long Chinese rule, the occupation by the Dutch and the Japanese, besides being swayed by the American culture during the course of its economic and political evolution. While the Japanese gave top priority to building infrastructure and improving public education, liberal economic aid from the United States in the 50s and 60s helped the infant nation take baby steps toward economic progress. In fact, Taiwan’s economy bears tell-tale marks of each of these cultures, though the Middle Kingdom dominates the territory’s economic landscape for reasons both political and geographical. To put things in perspective, Asia emerged as a manufacturing juggernaut in the 60s with Japan embarking on exports of consumer goods and electronic items. Taiwan and South Korea soon followed suit. However, it was China’s triumphant entry after it opened up its economy that gave Asian manufacturing a new impetus in the 90s. Cheap Chinese labor became the game changer that entrenched Asia as the factory of the world. Political changes helped, too. After long decades under the Kuomintang dictatorship, simmering protests for political freedom and human rights eventually led to the overthrow of martial law in 1987 and the dawn of democracy. Presidential elections followed in 1996, which completed Taiwan’s transition to democracy. Economic progress moved in lockstep with democratic changes as jobless rate remained low and middle class incomes rose. Moreover, Taiwan has steadily followed a policy of minimal government intervention in investment and foreign trade. Taiwan’s economic prospects got a further boost when it joined the World Trade Organization. Small wonder the country clocked average GDP growth of 8% in the decades beginning in the 90s. Though modern Taiwan has become almost synonymous with technology, the economy also made its mark in industries such as petroleum refining, chemicals, iron and steel, pharmaceuticals and food processing. As electronics-oriented industries gained prominence, the share of agriculture production in the country’s GDP has come down drastically over several decades. Besides, Taiwan’s beaches attract tourists in droves, primarily from mainland China. 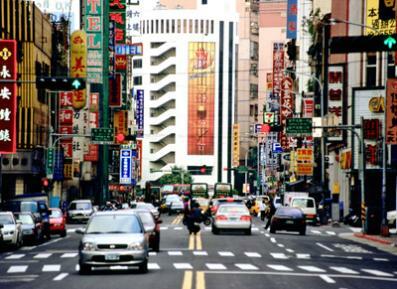 Taiwan also has a thriving financial services sector with a number of well-managed banks. With five container terminals, the Port of Kaohsiung is one of the busiest in Asia with an annual handling capacity of 10 million twenty-feet equivalent units (TEU). 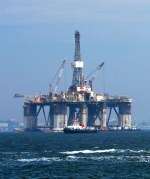 The sea connectivity has helped cement Taiwan’s reputation as a leading Asian exporter. Taiwan laid the foundation for its future technological prowess during the 70s. Notable among the initiatives was the establishment of the Industrial Technology Research Institute (ITRI) to foster the technology industry. It is widely known that Taiwan’s real strengths are its formidable R&D capabilities, well-developed industrial clusters, as well as small and medium businesses that made the country a hub of electronics manufacturing. Starting off with manufacturing semiconductors on technology initially borrowed from the United States in 1976, Taiwan has carved a niche for itself in the global technology space ever since. Taiwan formed a network of notebook-PC manufacturers in the late 80s that made its products household names across the world. From the onset of the 90s, brands such as HTC, Asus, Taiwan Semiconductor and Foxconn have become familiar names associated with some of the world’s most desirable electronic gadgets such as iPhones. Components manufactured by electronics firms contribute 40% of Taiwan’s export mix and bring in about 15% of its GDP. Since Chiang Kai-shek’s Kuomintang Party (KMT) established a national government in Taiwan in 1949, the Middle Kingdom has held a vise-like grip on its neighbor across the Taiwan Strait, primarily with regards to politics. Economically, close bilateral cooperation was a strategy born of necessity: China sought Taiwan’s tech expertise, while Taiwan craved China’s cheap labor. The relationship flourished as Taiwanese firms began to make large investments in the mainland and a sizable number of Taiwanese started to live and work in China. Taiwan has one of the world’s highest densities of convenience stores per person, with more than 9,000 dotting the city landscape. The signing of the free-trade agreement, known as Economic Cooperation Framework Agreement (ECFA) in 2010, marked a high point in business ties between the two. The deal had provisions to cut tariffs on 539 categories of Taiwan’s exports to China, while Taiwan reciprocated by reducing duties on 267 categories of Chinese goods. Thanks to the trade treaty, China accounts for nearly 30% of Taiwan’s exports. Moreover, Taiwan’s services industries also benefited from the treaty as it allowed Taiwanese banks to do business in renminbi within two years of starting operations. 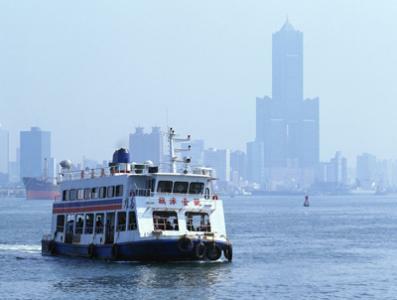 The deal also strengthened intellectual-property rights that armed Taiwanese firms in their fight against piracy issues in the mainland, according to The Economist. The business ties worked perfectly well as long as the relationship remained symbiotic. However, the marriage of convenience became strained as China-based companies in sectors such as petrochemicals, computers, steel and digital displays made forays into what was considered Taiwan’s home turf. Taiwanese firms with extensive operations in China have to purchase machinery and materials from suppliers in the mainland itself as they increasingly tighten their grip on the supply chain. What’s more, Chinese companies are even trying to make inroads into semiconductor manufacturing, long considered a Taiwanese stronghold as more than a fifth of the world’s semiconductors are manufactured on the island. If cordial political ties with China initially helped Taiwan achieve economic progress, any hiccup in the relationship is bound to reflect in the Middle Kingdom’s perception about its neighbor. Notwithstanding the close business ties, China still deems Taiwan a renegade province and often asserts that there is only “one China” and counts Taiwan an integral part of it. In fact, China’s stranglehold over its neighbor is so complete that Taiwan has official bilateral trade deals only with Singapore and New Zealand, nations with which China too has trade ties. China also refuses to engage in diplomatic relationship with any country that recognizes Taiwan as an independent state. China often uses its political clout to actively discourage countries or economic blocs from entering into free-trade deals with Taiwan. As much as Taiwan would want to break free from China’s economic orbit and expand its trade horizons in Southeast Asia, it remains a task easier said than done. It is not just China that gives Taiwan a run for its money. South Korea is fast catching up with the country in sectors such as automotive manufacturing as well as in the production of communication equipment, semiconductors, steel, and chemicals. Adding to Taiwan’s woes is the fact that China is the largest trade partner and export market for both the Asian nations. South Korea’s signing of a free-trade agreement with the United States in 2011 gives the country an edge over its smaller rival although Taiwan also has thriving trade relations with the U.S., as The Economist has pointed out. Amid the chill in political ties and increasing competition from its neighborhood for a bigger share of revenues from trade, Taiwan has set its sights higher. As Taiwan reaches out to Southeast Asian nations such as Australia, as part of its ambitious “New Southbound Policy,” and continues its efforts to woo Japan, it hopes to achieve its objective of becoming an Asian Tiger once again.